← Eat the Right Tuna!! This is a simple tuna salad recipe on the blog: “I Quit Sugar” by Rachel Wilson. St. Jude Tuna is perfect for getting back on track to a healthy no sugar eating style. Our albacore tuna is caught off of the Washington Coast and Canned in Washington and/ or Coos Bay Oregon. It is packed with protein and flavor. You are eating a fish that is on the green light “Best Choice” by Monterrey Bay Seafood Watch Program. We have not killed any sharks or other species of tuna. We solely catch young fatty albacore. 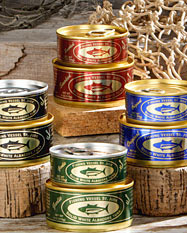 Click here to check out the complete line of St. Jude tuna products and place orders. Enter your email address to subscribe to the F/V St Jude blog and receive notifications of new posts by email.